Keen to realise your creative vision with a stylish 13” MacBook Air 💻 worth RM 5,249? We hear you. And we want to give it to you. Simply purchase 2 evian x Inès Longevial bottles at any 7-11 store, submit your entry via Whatsapp, and the winner may just be you! 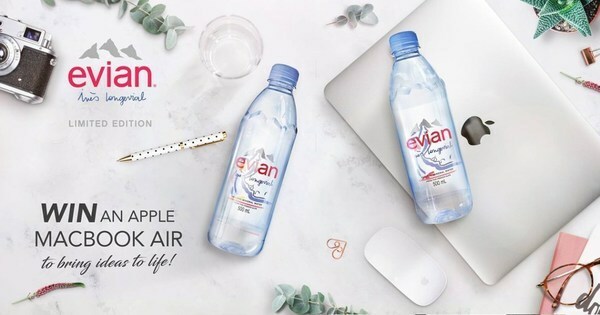 Purchase 2 evian x Inès Longevial bottles in a single receipt from any 7-Eleven outlet in West Malaysia (excluding Langkawi) to be eligible to enter the contest. Each receipt entitles each participant to one contest entry. Grand Prize x 1 : 13-inch MacBook Air worth RM5,249.00. Consolation Prizes x 10 : evian x Inès Longevial Limited Edition Glass bottle .